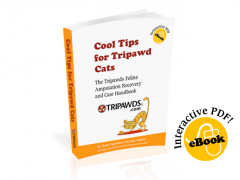 If you missed our recent episode of Tripawd Talk Radio with Dr. Kenney, stream the show below or download the podcast for listening offline. Dr. Doug Kenney is a practicing veterinarian in the Memphis, Tennessee area who is dedicated to helping pet parents choose the best health insurance policy for their companion animals. He is the author of the Pet Insurance Toolkit, a free downloadable book that helps pet parents understand the ins and outs of pet insurance policies. Dr. Kenney’s goal is to share a veterinarian’s perspective on pet insurance by highlighting things he feels are essential in a pet insurance policy, based on common conditions seen at the typical veterinarian’s office. He also provides a free, regular podcast that gets into the details of how pet insurance works. For more tips on choosing the best policy for your pup, don’t miss Dr Kenney’s Pet Insurance Guide Podcast here in the Tripawds Downloads blog! 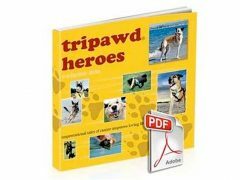 *Tripawds receives a small commission if you enroll via the links above. Thanks for your support!